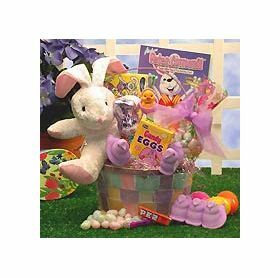 Send your love with the Bunny Love Easter gift basket. Perfect for both boys and girls, this pretty pastel basket carries sweets and treats that will convey your love in great taste! Fun activities are included. 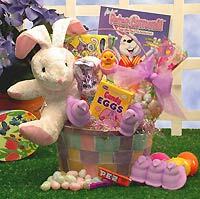 Send the Bunny Love Easter gift basket to those you love this Easter season!